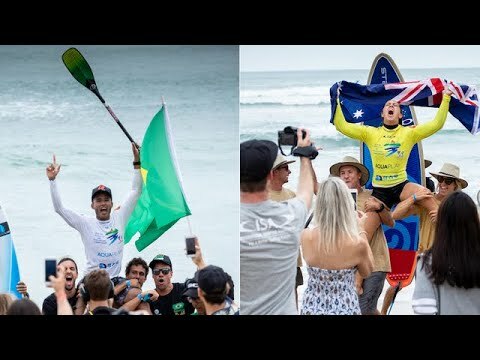 Australia’s Shakira Westdorp and Brazil’s Luiz Diniz both repeated as SUP Surfing World Champions at the 2018 ISA World SUP and Paddleboard Championship in Wanning, China. Westdorp’s Gold Medal performance was an unprecedented third in a row, putting her in a league of her own in the history of ISA SUP Surfing. On the final day of competition in Wanning, Riyue Bay continued to provide excellent left-hand waves for the world’s best SUP surfers. After a morning of Main Event and Repechage heats, the Women’s final ran to crown the first World Champion of the event. In the Women’s Final, Spain’s Iballa Ruano Moreno earned the Silver, New Zealand’s Stella Smith the Bronze, and Japan’s Yuuka Horikoshi the Copper. Team Australia, Spain and Brazil all finished the day with two athletes on the podium. Candice Appleby (USA) was the top performing woman, which earned her a spot in StandUp Paddle’s debut at the 2019 Pan American Games.